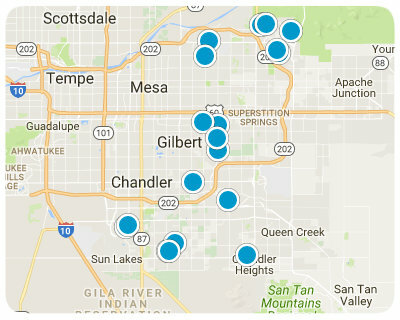 Below are ALL of the Homes for Sale by Zip Code in Queen Creek AZ from our Realtor MLS UPDATED EVERY 5 Minutes! That means EVERY home from EVERY Real Estate Company that is currently for Sale. The listings below include ALL homes for Sale in Queen Creek, Queen Creek Condos, Queen Creek Foreclosures, Queen Creek Short Sales and Luxury homes in Queen Creek. You can filter your search at the top of this page by price, size, etc. Check out the popular 1-Click searches like Queen Creek Homes for Sale with a Pool or Horse Property for Sale in Queen Creek Arizona. If you find a home you want to see or have any real estate questions call/text us at (480) 422-2502 or click the LIVE CHAT below.